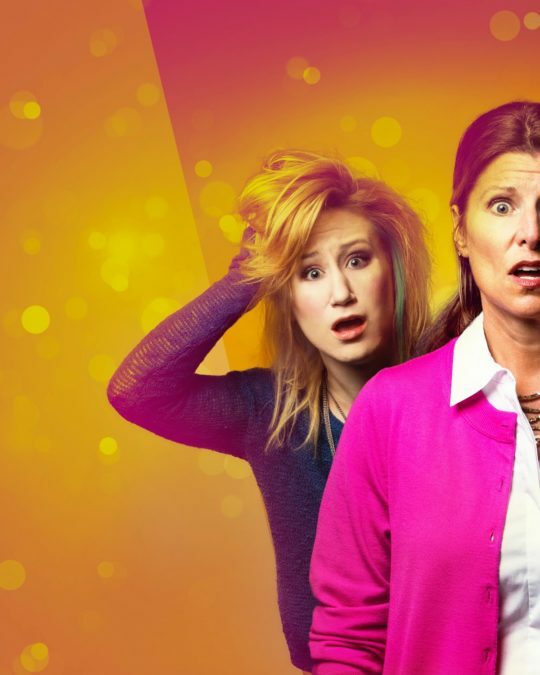 Signature Theatre in Arlington, VA, has announced its 2016-17 season and along with the previously reported Freaky Friday world premiere, there will be new shows from Tony winner James Lapine, Audrey Cefaly and more. There is one small change to what we already knew about the much-anticipated bow of Disney Theatricals’ Freaky Friday. The musical comedy will now play October 4 through November 20 at the MAX Theatre; it had been scheduled to shutter on November 13. Although new artwork featuring Molly Janiga and Vanessa Lock has been revealed, above, a Signature spokesperson said that neither actress is confirmed for the production. Casting will be announced later. Directed by Christopher Ashley, with choreography by Sergio Trujillo, the musical comedy will feature a book by Bridget Carpenter, and a score by the Tony-winning Next to Normal team Tom Kitt and Brian Yorkey. The production will then play a limited engagement at La Jolla Playhouse on the West Coast, from January 28, 2017 through March 12. Two plays will make their world premieres during the season. Lapine’s Mrs. Miller Does Her Thing will star Debra Monk (Mozart in the Jungle, Grey’s Anatomy) and run February 28, 2017 through March 26 at the MAX Theatre. The show is based on the real-life story of Elva Miller, who gained notoriety as an unlikely pop phenomenon in the 1960s for her renditions of “Downtown,” “Monday, Monday,” “A Hard Day’s Night,” and more. Audrey Cefaly’s The Gulf will receive its inaugural run later this year at the ARK Theatre, September 13 through November 6, directed by Joe Calarco and featuring Maria Rizzo and Rachel Zampelli. Along with Freaky Friday, other new musicals to make an appearance include Silver Belles (November 22—December 24 at the ARK Theatre) by Matt Conner, Allyson Currin and Stephen Gregory Smith, and Midwestern Gothic by Royce Vavrek and Joshua Schmidt (March 14, 2017—April 30 at the ARK Theatre). In the MAX Theatre there will also be a 360 degree revival of Maury Yeston’s Titanic (December 13—January 29, 2017), directed by Eric Schaeffer, and to end the season, Joe Calarco will helm Andrew Lloyd Webber and Tim Rice’s Jesus Christ Superstar (May 9, 2017—July 2).